Perfect for Decorative or Culinary use. Grill & Oven Safe, Microwave & Dishwasher safe. 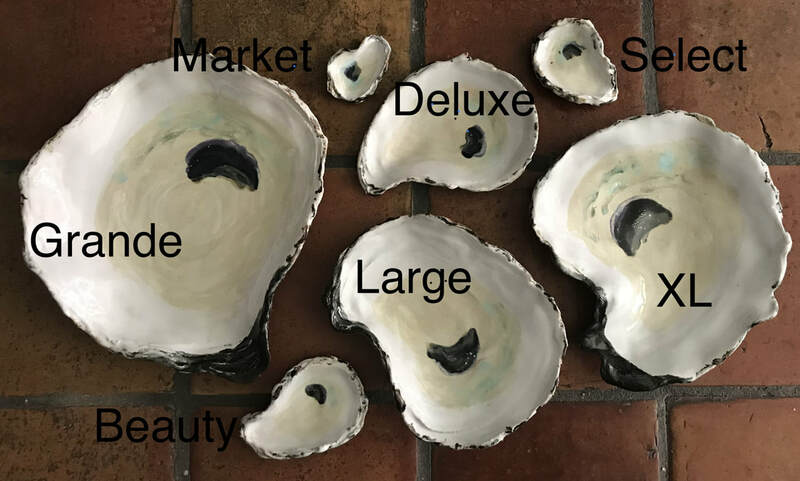 MARKET oyster: 3 1/2" x 2 1/2" DELUXE DISH: 11" x 6"
SELECT oyster: 4 1/2" x 3 1/2" LARGE OYSTER BOWL: 9" x 12"
BEAUTY oyster: 6" x 4" XL OYSTER BOWL: 14" x 11"
GRANDE OYSTER BOWL: 16" x 14"
no two will ever be alike as in nature.